How do I make my product even more effective than my competitor’s? How can I evaluate the purity of feedstock sourced from a new supplier? How do I meet regulatory requirements for assessing environmental risk? EAG scientists have answered questions like these for years. 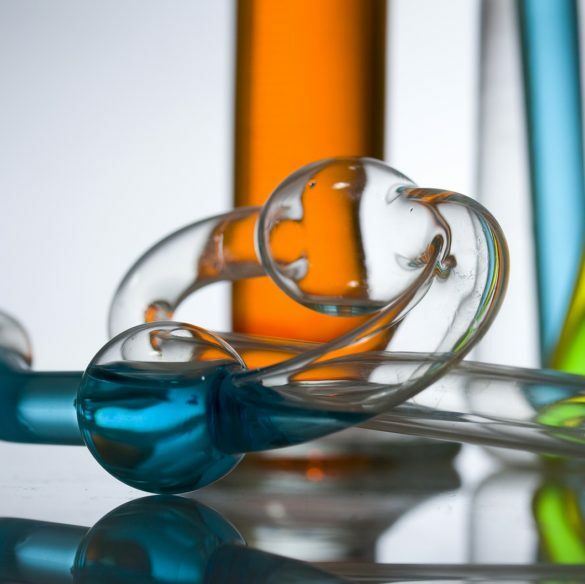 Through multidisciplinary science, we help manufacturers of specialty chemicals and basic materials enhance production efficiency, develop targeted solutions to specific commercial problems, and address safety concerns. Today’s chemical manufacturers must continually strive for advances. EAG has tested thousands of metals and alloys, paints and coatings, adhesives and sealants, polymers and plastics, additives and other industrial chemicals. As an extension of your R&D team, EAG’s chemists and polymer experts can evaluate raw materials, test for performance, and deformulate/reverse-engineer formulations. When things don’t go as planned, it is critical to have solid science on your side. EAG has decades of experience investigating issues related to purity, contaminants, and chemical composition. Our scientists are experts at developing test designs to troubleshoot problems, help you avoid production downtime, product defects, or customer returns. Whether it’s feedstock purity, manufacturing processes, or production failures, EAG can help. EAG supports your internal quality assurance and quality control initiatives with raw material and finished product testing, evaluations of batch-to-batch variations, and third-party verification of product quality. We specialize in non-routine issues facing QA, such as off-odors, off-colors, and toxicity risk assessments. EAG scientists help our chemical industry clients respond to the complex and evolving global regulatory environment with a broad array of testing and the experience required to translate guidelines into study designs that deliver the specific, reliable data regulators expect. For REACH, EDSP, TSCA, OECD, labor, or country-specific requirements, turn to EAG for compliance with chemical control laws and regulations. EAG offers comprehensive support and quality control for feedstock and finished products. We work with raw material suppliers, contractors and manufacturers to confirm characteristics of inputs and finished products, test packaging, and trouble shoot manufacturing issues. EAG’s experience extends beyond the laboratory and into the court room. We maintain a team of litigation experts who regularly assist clients with trial preparation, depositions, and expert witness testimony. EAG scientists have extensive experience supporting cases involving intellectual property, product liability, and insurance claims, as well as evaluating the scientific validity of academic publications, media reports, and other claims for government institutions and private industry.